Siam Ocean World is not only just an underwater world experience, you can also put yourself into some attractive activities to explore the marine life in a different way. Why Siam Ocean World is special ? 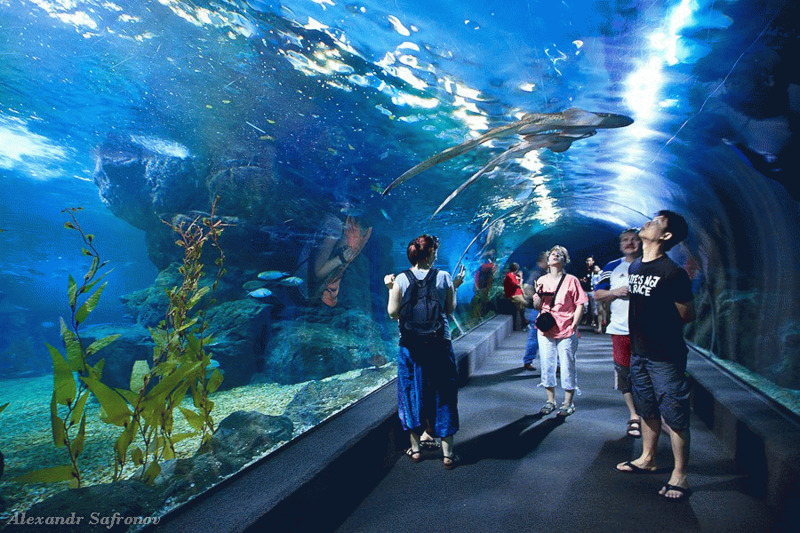 What to explore at Siam Ocean World? Witness an underwater rainbow of colours by visiting our "Coral Reef" zone. A variety of coral and fish species present a dazzling spectacle of underwater life, tantilizing kids of all ages by allowing them to get a very close-up experience of this amazing visual presentation of underwater life.Witness an underwater rainbow of colours by visiting our "Coral Reef" zone. A variety of coral and fish species present a dazzling spectacle of underwater life, tantilizing kids of all ages by allowing them to get a very close-up experience of this amazing visual presentation of underwater life. How to get to Siam Ocean World? The photo is available for purchase about 350baht with different background of the choice of liking. If you buy complete ticket you can get discount 40%. Recommended to buy the Package instead of simple ticket entry - which the package will give you access to the "Back of The House" "Boat Ride Feeding" and fmany other things. You can purchase tickets on line in advance to save around 20%. They also have combos for families. The Sea life Bangkok Ocean World is located inside the siam paragon. Is very convenient to come have a look after shopping. It can get cold when you get inside. If you have an appreciation for aquariums and ocean life its very well done. It is full of children and things for kids to do. That being said , I CHOSE SCUBA DIVING WITH THE SHARKS IN THE AQUARIUM! I have always had an irrational fear of sharks and drowning. Last year I went cage diving in Africa with the Great Whites to get over it and I was hooked. THIS was far more intense....I have never been scuba diving either. Popeye was the perfect teacher. This was my first time to Thailand and I went alone. Getting around and language were problematic at times, Popeye is from Vermont just like my family! We got suited up and went over the basics, then we just sat on the bench practicing breathing for a while. No hurry or stress .Time to get in, the water is warm ,72 degrees about, and then you are in your own world. Then I came face to face with a Grouper and just about lost it, I wanted to give up right then. I made a small panicky motion and was about to go up and Popeye looked at me and adjusted my weights and we went on. He has a calming effect and thanks to that I went on to have one of my greatest adventures yet! The more still you are the closer the sharks will get. As long as you do not flap around like prey they just cruise right by you. Later in the pictures and videos I got to see that while I was looking at one in front of me there would be one hanging out right behind me! As an animal loving adult I feel that this is the best way to experience the aquarium. I will never forget it. Face your fears, you never know ,they could become your new passions. Thanks again to Popeye, who had the hardest job . He had to dive with a anxious neurotic me. Now that is scary!